Paul Boudville is the founding Director and Podiatrist at Foot Focus, which joined My FootDr in July 2018. Paul has completed a Bachelor of Health Science at University of New England in 2000 and Diploma of Health Science (Podiatry) at Sydney Institute of Technology in 1994. 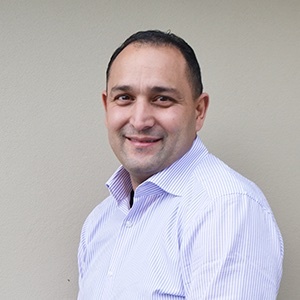 Paul is a qualified Sports Trainer and has been a consultant to many government departments, national sporting teams and to manufacturers within the athletic and safety footwear industry. Paul is the Co-Director of Realign Performance and the inventor of the Ultimate Shoe Selector App and Foot Profiler analysing device, which has been granted an Australian and International Patent for design innovation. Paul enjoys travelling and spending quality time with his family.